Want it by Wednesday 24th April? Order within 3 days, 20 hours, 15 minutes and choose Next Working Day - Kerbside Delivery (Order Must be Placed by 2pm) at checkout. The floor allows floating installation thanks to the glueless click system! Ensure lastingly beautiful floors and trust a professional for installation. The products have a 15 year guarantee for private use. Out of all my samples this is my favourite. 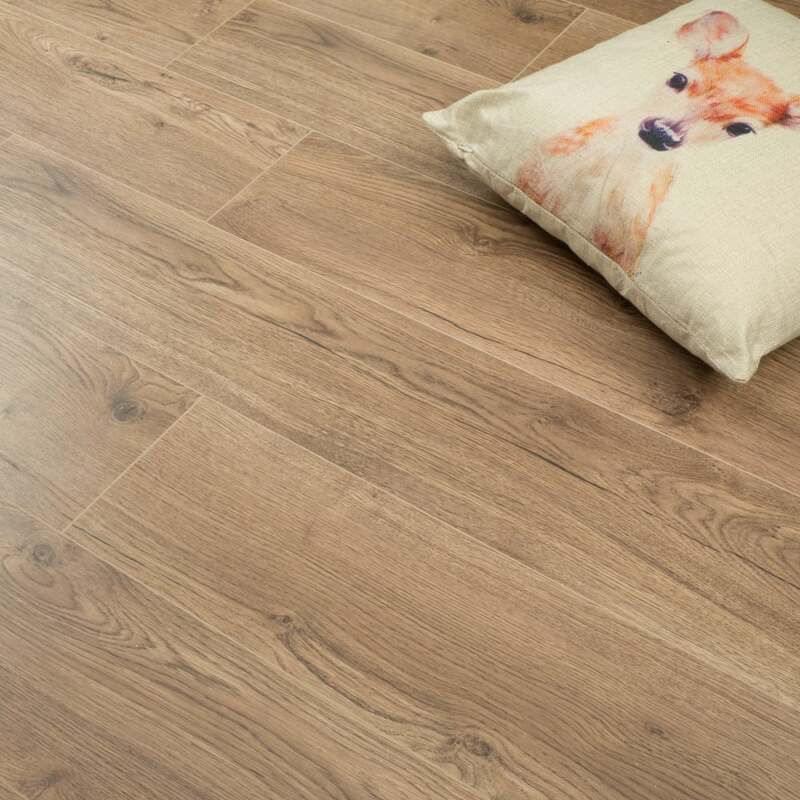 Thank you for helping me to decide on mh flooring. This was purchased because I used the Sydney Italian oak last year and wanted some more. However this was no longer available so I telephoned the company for help and a very nice young man told me that the Chestnut oak was a replacement for the one I was looking for though it is slightly darker. It came up on the website as Flat so I queried this and the young man assured me that it was a Vgroove. On arrival I found that he was right. It is what I needed and was a Vgroove.